Moving away from a reliance on local property tax revenue, a comprehensive student-based budgeting program and choice can be the foundation of fundamental change in Texas. Texas’ school finance system is broken at both the state and district levels, but policymakers have an opportunity to pursue fundamental fixes during the 85th Legislature. Texas can finally put an end to decades of litigation by moving away from its reliance on local property tax revenue, and a comprehensive student-based budgeting program can help ensure that funds are allocated equitably and transparently. Policymakers should also provide families with access to the education that best fits their needs by expanding the supply of high-quality options and empowering parents to have a voice in how their dollars are spent, which is especially critical as it relates to the state’s low-income student population. Public education is enshrined in the Texas Constitution, which states “A general diffusion of knowledge being essential to the preservation of the liberties and rights of the people, it shall be the duty of the Legislature of the State to establish and make suitable provision for the support and maintenance of an efficient system of public free schools.” The Texas Supreme Court’s Edgewood I decision shaped the parameters by which this mandate is funded by establishing a financial efficiency standard that requires districts to have “substantially equal access to similar revenues per pupil at similar levels of tax effort.” In practice, legislators have few options for achieving this aim, which is made especially difficult by vast differences in property wealth among districts. The Robin Hood system currently in place helps satisfy legal requirements and provides a foundation for delivering funds equitably, but its manner of redistribution is politically contentious. Although this view is somewhat misguided, since any system of public school finance is inherently redistributive, its recapture mechanism is nevertheless susceptible to serial litigation and overwrought complexity. Policymakers should seek a more effective system that not only complies with Texas’ legal requirements, but also allocates tax dollars transparently and in a manner that best incentivizes high-quality options for families. One option for policymakers is to create consolidated funding districts, which would equalize property wealth by combining districts for tax purposes only. In this system, the newly formed entities would be responsible for levying local M&O taxes while districts would still receive support from state and federal sources. 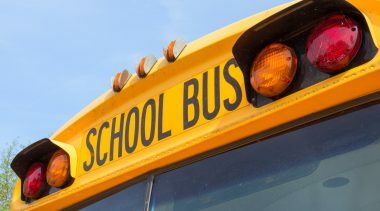 Although this would likely satisfy Texas’ legal requirement for financial efficiency and simplify the distribution of state funds, it would fail to ensure student-level funding equity since local spending would ultimately vary by consolidated district. An additional drawback is that membership in these entities would be subject to frequent and disruptive changes in order to keep pace with fluctuations in property wealth. As a result, this option would trade one set of problems for another without fully addressing one of the most pressing issue at hand. Instead, it seems that it would only create a new layer of bureaucracy without providing any incentive for using tax dollars more effectively. The only solution that would guarantee financial efficiency, fund students equitably and put an end to decades of litigation is to replace local revenues with state revenues. In this system, operational funding wouldn’t have any relation to property value and the resources provided to students wouldn’t reflect variations in wealth. A primary objection to this plan is that it would strip away local autonomy, but as the current system shows, relying on local taxes has little relation to autonomy as the state mandates key elements such as teacher pay, class size and credentialing requirements, which research has shown to be ineffective in boosting achievement. Rather, ending Texas’ reliance on local revenue would help pave the way to a funding mechanism that promotes parental demands for choice and ensures that students in need receive their educational funding, all in a context of the equity that a public education system mandates. It is critical for parental choice advocates to understand how school finance systems that rely on local revenue can obstruct educational freedom. For example, charters in Pennsylvania receive about 83% of revenue directly from districts based on the students they enroll and these funds are largely tied to the dollars that districts raise locally. As a result, charter funding varies wildly from $6,865 to $18,750 per pupil and districts can prohibit students who reside outside their boundaries from enrolling in the charters they fund. 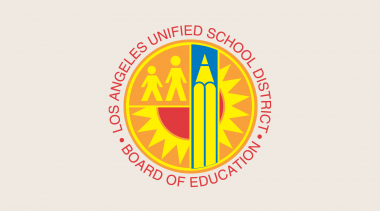 This not only increases tensions between charter and district officials, but also forces some families to falsify their address in order to enroll in a better school, putting them at risk for criminal charges. 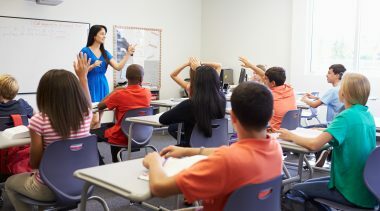 In some states, local revenue and other legalities can also complicate funding for choice programs such as education savings accounts by necessitating an annual appropriation of state funds, which is susceptible to constant political risk and can arbitrarily cap the number of participating students. Fortunately, Texas’ current system helps negate these problems since all revenue is essentially allocated from the same pot, but moving to a system free of local revenues altogether would be even more effective and transparent. Policymakers should work toward this as a long-term solution that both liberty and equity advocates can support. Fortunately, Texas already has some of the underpinnings required for student-based budgeting and only four changes are needed to adopt this system. The Foundation School Program formula should be simplified so that it provides a robust basic allotment that is the same for all students. 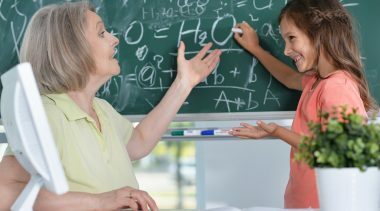 To promote equity, this figure should only be adjusted by programmatic weights that are based on student characteristics such as special education, compensatory education and bilingual education, which will ensure that student need—not political influence and outdated formulas— drives the allocation of dollars. And if policymakers allow the state’s Target Revenue system to expire as scheduled in 2017, then funds that are currently distributed arbitrarily will instead be funneled into the basic allotment, which means that more dollars will be allocated based on student needs rather than political arrangements. At least 80–90 percent of each student’s funding allotment should be pushed directly to the school in which he or she is enrolled, similar to what Texas already does with charters. This will guarantee that funds are spent on the students they’re intended for while also affording principals greater autonomy over expenditures since they would receive actual dollars and not staffing allotments or other inputs. If legislators fail to implement this as a state-level reform then leaders should be encouraged to adopt it locally as more than 30 districts across the U.S. have already done. In cities such as Houston, Denver and Boston, funds are allocated by a weighted-student formula and principals receive actual dollars to spend flexibility rather than staffing positions or other inputs. This system has proven to be popular among principals, as 87 percent of those surveyed wanted to keep it. Texas should improve financial transparency by modernizing its reporting system. The best option would be to create an interactive website that allows the public to easily view, compare and download financial data. This dedicated portal would make it easy to compare spending patterns across districts and campuses while also providing users with demographic data for even greater context. With a few mouse clicks, parents would be able to see things such as per pupil operating expenditures, average campus salaries and spending on special education students across multiple schools all on one page. Short of this, financial transparency can also be improved by making minor adjustments to current reports. 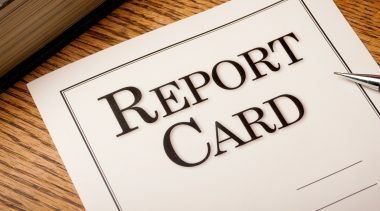 For example, robust financial data can be included in each school’s Texas Academic Performance Reports and key measures such as average teacher salaries can also be provided in the School Report Cards. By maximizing transparency parents and policymakers will have the tools necessary to ensure that tax dollars are reaching the students they’re intended for. Texas districts can give parents more say over how their child’s education dollars are spent by replacing residential assignment with a robust system of public school choice. To do this, districts should look at how cities such as such as Denver and New Orleans have modernized enrollment practices via “common enrollment.” Within this system, parents rank their preferences and submit a single application that a computerized algorithm uses to place each child as close to his or her top choice as possible. A notable advantage of common enrollment is that it provides families with more equitable access to choices while eliminating the need to navigate separate application processes. Although still in its infancy, early signs are promising. In Denver’s first three years of using common enrollment, most participating families in transition grades were matched to their first choice, with about 90% being matched to one of their choices. Texas’ supply of high-quality options is currently insufficient, yet state policies prevent the charter sector from growing in response to parental demand despite the fact that research has shown that charters are effectively serving low-income families. Policymakers should consider ways to make funding more equitable for charter students. One possibility is using credit ratings to provide proven charters with a per-pupil facilities allotment that is dedicated to expansion. A mechanism to back tax-exempt bonds for high- performing charters is already in place with Texas’ Charter District Bond Guarantee Program. To qualify, charters must be in existence for at least three years and receive an investment-grade rating from a recognized firm. These ratings are based on rigorous criteria that indicate quality, including academic outcomes, financial stability and waitlist data. To date, only 14 of 183 charters have applied and met this standard. Although qualifying charters receive more favorable terms—and thus lower issuance and interest costs—they still must service long-term debt obligations with operational funds. Providing a per-pupil facilities allotment to these charters would allow them to serve more students without diverting funds from classrooms. To be certain, this is a modest proposal, as only 36 bond issues have been guaranteed since the program was implemented in 2014, and a cap on outstanding guarantees continues to limit expansion. Given this fact, combined with Texas’ need for more high-quality schools that serve low-income students, lawmakers should consider extending this allotment to both existing and future bond issues that are backed by the state. Additionally, policymakers should allow parents to pursue more diverse educational options by adopting an innovative program that puts student needs first: Education Savings Accounts (ESA). ESAs allocate a portion of a student’s funding allotment to a special account that parents can use to purchase approved services such as private school tuition, tutoring, educational therapies, curricula, individual public school courses and college courses.121 Ultimately, families are free to choose the combination of approaches that best works for their situation within a defined umbrella of options. 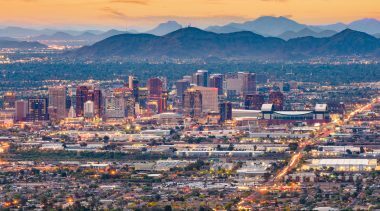 Arizona created the nation’s first ESA program in 2011 with its Empowerment Scholarship Accounts, which was originally designed to help children with special needs and now extends to other groups including students attending underperforming schools, children in foster care and military dependents. Similar laws have since been passed in Mississippi, Florida, Tennessee and Nevada. The benefits of this innovative approach go beyond customization. First, ESAs save taxpayers money since they are funded at discounted levels. For example, legislation passed in Nevada funds students at 90% of the statewide per-pupil average, with low-income and disabled students receiving additional support. ESAs also incentivize efficiency, as unused funds can be rolled over from year to year and even applied to college tuition later on. Most importantly though, research has proven the numerous benefits of providing parents with choice. 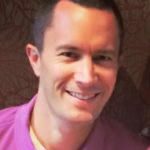 A recent meta-analysis by Ed Choice’s Greg Forster showed that empirical studies have overwhelmingly found that school choice programs have positive effects on student achievement, civic values and racial segregation. Of the 18 random control trials on the academic outcomes of participants, 14 found school choice had positive effects while only two found any negative effect. Texas should adopt a universal ESA program that provides participating students with 90% of their basic allotment plus any programmatic funding they are eligible for through Foundation School Program formulas. As a safeguard against fraud, the state can issue parents use-restricted debit cards that are subject to regular oversight and audits, and a robust ratings service—similar to Consumer Reports or Yelp—could be created so families can rate and share experiences related to the quality of service providers, information that could then be used to restrict low-quality educators from receiving public funds. This is preferable to regulating service providers on the front-end, which would not only create barriers that would prevent diverse options from flourishing, but would also be more cumbersome to oversee. 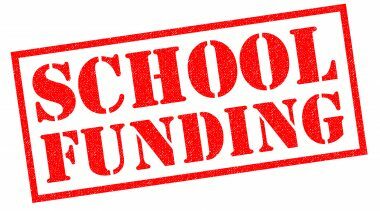 For more on this issue, please read the policy brief: Fixing the School Financing System in Texas: Creating an education funding system that puts students first.